Citing her experience with crime, quality of life and development issues as leader of a neighborhood that has been emblematic of the city’s recovery, the president of the Broadmoor Improvement Association announced her candidacy this week for the District B seat on the City Council. 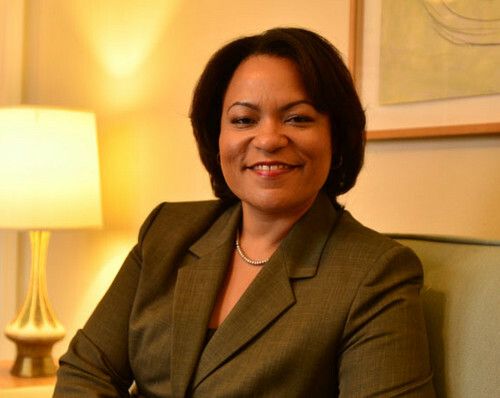 “Based on the great training ground of Broadmoor in terms of working with a diverse community on every level, I would like to expand my scope of leadership to the next level, which is district wide,” said LaToya Cantrell in a telephone interview Thursday afternoon. Broadmoor was at the center of the only infamous “green dot” placed Uptown after the flooding that followed Hurricane Katrina, designating the area for a return to green space instead of rebuilding. Cantrell, who had already been president of the Broadmoor Improvement Association for several years at that time, was instrumental in a recovery that has seen the rebuilding of not only homes but a prominent local school, library and soon a community health clinic. Key to the rebuilding effort, she said, was ensuring that the same problems that troubled Broadmoor before the destruction of the storm were addressed in the plan for the neighborhood that returned. “What we did make sure the social ills that plagued us were not forgotten,” Cantrell said. Moving forward, Cantrell said she believes public safety is the top priority for all New Orleanians. She supports the initiatives promoted by the Landrieu administration so far, but she said she plans to encourage more community policing. The NOPD should continue building trust in the community that it is safe to report crime, and that their reports will be taken seriously. Although it is not technically in District B, the proposal by Tulane University to build a football stadium on its Uptown campus is sure to remain a political issue, as meetings about the project are held throughout the summer. Cantrell said she has not studied the issue closely, but supports the council’s effort to give neighbors of the project a voice. Cantrell also promised a continued focus getting a city response on quality-of-life issues — cars illegally parked, improper property uses and so forth — that she already deals with on a regular basis as the president of a thriving neighborhood association. Those issues also figured prominently in meetings former District B Councilwoman Stacy Head would have with neighborhood groups, and Cantrell praised Head’s work in the district, and in supporting Broadmoor. Cantrell said she will also continue to support education and social services she championed in Broadmoor as an neighborhood advocate, but with the added strength that comes from a seat on the City Council. “If I can do what I’ve done from outside, what might I able to do from inside to further help folks and expand opportunities for people?” she said. Cantrell is the first candidate to make an official announcement about the race, although juvenile justice advocate Dana Kaplan has been visiting neighborhood groups as she explores a run. This woman is trash. Many in the Broadmoor neighborhood do not like the representation that our “leader” has given. Trust me, she is not a leader. She makes decisions based on what is in her best interest. Nothing like Stacy. If you want someone that cares more about the low-life’s in Central City, vote for her. She is the Jefferson family all over again. When I was renovating my home in Broadmoor after the storm I had a number of break-ins. I called the police and they repeatedly told me they were having trouble with an abandoned building down the street with homeless that would go out during the day and break into neighbors homes and that they had let the Broadmoor neighborhood association know about the problem, but they said it didn’t seem liked they cared. I called Ms. Cantrell directly and was told that I should feel sorry for the homeless and should try to “help them rise above their poverty” rather than turn them into the police. Are you kidding me? When I asked about paid private patrols in the neighborhood she said it would be too much of a burden to the “poor” in the neighborhood to pay. But when her grant funding ran out and her paid position was to be eliminated, she was more than happy to get a $100 forced neighborhood association tax added to my property bill. I sure hope someone else runs or we will be taking a BIG step backwards in District B.
LaToya has devoted her life to resurrecting Broadmoor and serving New Orleans. She is a principled and visionary leader; there is a reason Broadmoor residents keep re-electing her. As a former Broadmoor resident, a public school teacher who taught a number of students from Central City, and a proud New Orleanian, this comment makes my skin crawl. Concerned Broadmoor Resident: If you’re going to call anyone “trash” or a “low life,” have the courage to put your name on your post. You’re wrong about LaToya, and you’re wrong about my students. PS – My fifth graders knew not to use apostrophes to make a word plural, but apparently you haven’t learned that yet. Concerned Resident sounds more bitter than concerned, and, also, just plain wrong. First, it’s because of Cantrell that Broadmoor has recovered. We have a new school, library/community center and when you drive or walk through our neighborhood, you see homes being rebuilt. That’s because we have risen and united together. Second, not sure where the “resident” was, but Broadmoor voted and approved the $100 fee to fund the neighborhood, and Cantrell’s salary is not paid for through the funds. I’ll vote for Cantrell because she’s achieved results and cares for everyone in her community. Plus, she tells the truth. Wow, you are either delusional or a psychopath. LaToya Cantrelle is nothing like the Jeffersons or Renee Gill Pratt, as a matter of fact the Jefferson’s did not support her in her first bid for elected office because she was not of the same fabric. She is a community leader and an advocate for human rights. She has stood and worked with others like her to move Broadmoor forward. Under her leadership Broadmoor could blueprint the process for recovery for any neighborhood or city. Like Stacy Head, she is results driven and has a solid track record for producing results to stand on. You, concerned broadmoor resident, have issues. Your response to her plea to you to express concern for the homeless, “are you kidding me,” let’s the reading public know that you are void of compassion and sensitivity to the human race. Broadmoor is not a neighborhood for you. Its progressive and inclusive. I have had the distinct pleasure of working alongside LaToya Cantrell for the last three years. She has at various times been a sounding board, a mentor, a boss, a cheer leader…and throughout it all she has been an inspiration to work with and for. The most inspiring part of her leadership has been the way she continually puts the needs above the community above all else. Tangible results of her selflessness can be found in the $40 million invested at the Andrew H. Wilson Charter School and the Rosa F. Keller Library. These assets help address the root causes of poverty, which you reference in your post, Concerned Broadmoor Citizen. But these resources also help improve the quality of life for all residents, not just low-income earners. I hope that you, CBR, take more time to understand and embrace the intricacies and diversity of the Broadmoor neighborhood. Perhaps you can start by visiting the gallery opening (ArtMoor) at the Keller Community Center tomorrow evening, June 2nd. Ms. Cantrell has fully embraced the diversity of the neighborhood and has done more than her fair share to improve the quality of life for all Broadmoorians. I am excited to see what she will do as the representative for Council District B and am confident that all members of the New Orleans community will continue to benefit from her tenacity, compassion, and vision. If this story was true, why not have the guts to use your name? This is another one of those idiotic comments by someone one too chicken to take responsibility for being a bigot. LaToya has been a savior for Broadmoor and I look forward to her representing us. My name is Rob. I live on S. Roman Street. I’m not afraid to leave my name. I’ve never posted a comment before and did not know it was customary to use my real name. Sounds like “concerned Broadmoor resident” should move to the North Shore and consider a run for grand wizard. Don’t let the door hit you on the way out of town. I also had a bad experience with Latoya involving a deadbeat landlord that owns a house next to mine. There are people coming in and out of the house at all hours of the night and there are at least 10 people that live in the shotgun double. I wanted to find out of there was something the Broadmoor Association could do and approached Latoya about it but was blown off. I am not impressed. I have a house on Jena Street near Claiborne. Before they built the CVS there was a abandoned church that became a haven for the homeless. Some of the people living in the abandon building would litter and “hang out” not far from my doorstep. My tenant complained that she had a couple people from the building knock on her door asking for money. I brought this to the attention of Latoya and was ridiculed for being insensitive too. She made me feel like I was the problem just because I was looking out for my community. I haven’t had much faith in her since. I’m glad the building was torn down and a business has replaced it, but my interaction with her did make me feel like she did not care too much for those of us that have invested in the neighborhood. I see that some people have a tremendous amount of admiration for her, but I lost a lot of respect for her after that interaction. It will be very hard for her to receive my vote. I have known LaToya since Hurricane Katrina and think the world of her! She is a devoted loving and caring New Orleanian and will make an excellent Council member! I watched Latoya head the Broadmoor efforts despite her own personal challenges ALWAYS putting her goals for the neighborhood and individual neighbors first! She is truly amazing and I am proud to call her my friend. Ms. Cantrell’s now official candidacy is exciting for all of us here in Broadmoor. She is the best-qualified and most capable person for this office. In the past six years we’ve seen a school rebuilt that I wish I had attended as a child as well as a library where I like to study. We now have a senior health center in the works that we know will be equally successful. All this we have to enjoy along with less and less blight and chronic vacancy. With what we’ve done to reactivate or otherwise improve this place where we live, we should all be proud to be members of this community. We are a model for American democracy in action and Ms. Cantrell has led in the development of that model every step of the way. Vote Cantrell for City Council! It seems the chief complaints about LaToya involve functions of city government that a neighborhood association is not equipped (or tasked) to deal with. Perhaps it is a sign of all the BIA has accomplished that it’s alleged the police are delegating to it their responsibility for law enforcement. Of note, the $100 parcel fee was approved by 70% of the neighborhood in an election run by the state. We also have a $25 million school and $5 million library we would likely not have had otherwise. We have a partnership with the city (such that it is) to remove blight that has put us at the front of the line. LaToya’s salary as Executive Director of the BIA is paid through grants, not through public funds levied in your property taxes. So, unless one can provide documented proof otherwise, one is just being libelous. I can assure you, the dozens of residents that have volunteered, and continue to volunteer, thousands of hours for the neighborhood have not done so to enrich anyone, conspiracy theories aside. You can disagree with her politics without resorting to unsupported allegations of public malfeasance. When you do, it makes you look crazy. I have had the pleasure of working with Latoya through the rebuilding effort as a fellow officer in the BIA. In every instance that I witnessed she always had an open door policy to any concerned resident about all issues , including quality of life issues.She also was always willing to help other neighborhood associations in the getting them organized as well when she seemed to work 24 hours a day on making Broadmoor better than before. I can’t think of a better person to represent District B on the city council.She has had to deal with adversity of dealing with the whims of city government in the rebuilding effort, what better experience to bring into city government?. The way in which she provided leadership and got things done (school, library) and has plans in the works(neighborhood health center, educational corridor etc) proves this is a leader who gets things done by building partnerships with educational institutions, NGO’s as well as federal and state grant programs. These are the attributes that the city needs to expand upon to bring our city back to greatness. I whole heartedly support LaToya Cantrell for City Council District B! Allan Katz and Danae Columbus: NOPD walking beats returning, but will they make a difference? Sunday Survey: Who should be appointed to the vacant City Council seat?